Shadowboxing in the Dark is a sound and video installation by Anike Joyce Sadiq, recently developed during the artist’s residency at NGO in Johannesburg, South Africa. 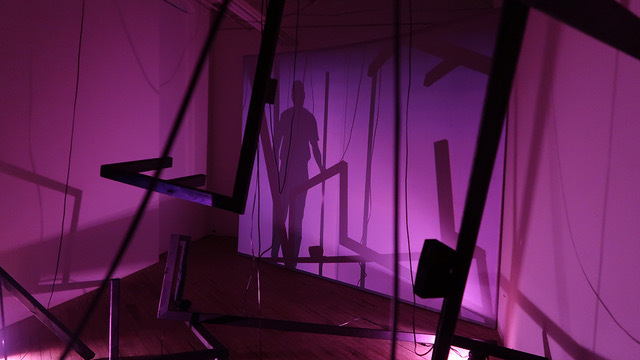 In Philadelphia Sadiq presents the second iteration of her site-specific work, an immersive sound and video installation that combines her ongoing conversation with artist and curator Sinethemba Twalo and her collaboration with musician Neo Muyanga into a sonic exploration of cityscapes. 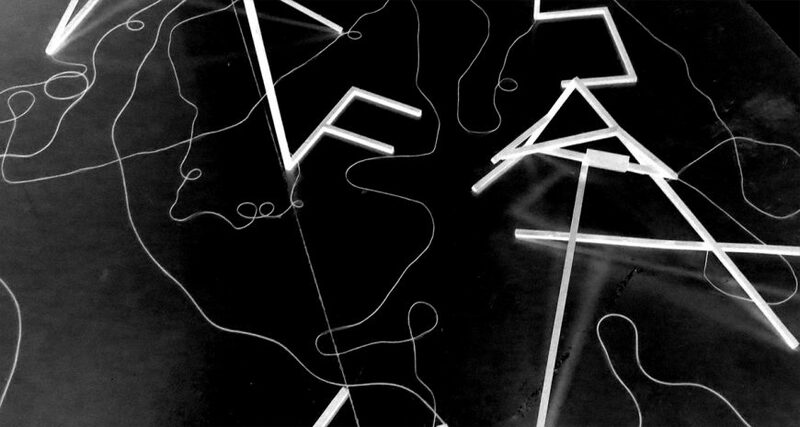 In the centerfold of the installation stand the letters N-O—W—H-E-R-E that unfold while blending objects, sound and video. 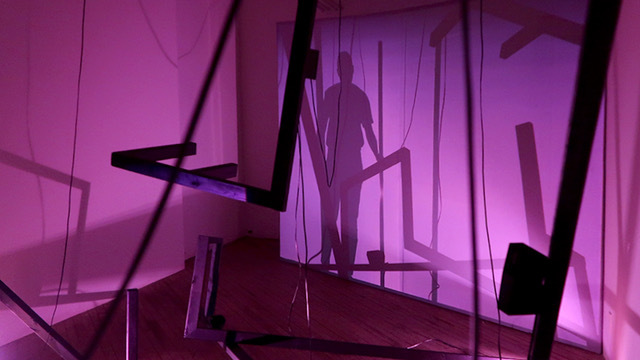 Understood as a performative situation where the audience also features as part of the work, the installation represents the artist’s ongoing interrogation of politics and stagings of language, objecthood, temporality, and bodies in space. Sadiq’s installation -her first in the United States- is situated at the metaphorical threshold between reality and mis-en-scène and ruminates about socio-cultural entanglements and humanity’s peculiar and familiar predicaments. Anike Joyce Sadiq is a multimedia artist who creates installative situations of participation and interaction. Comprised of videos, sounds, photographs, interventions and performances, her intermedia settings raise questions about identity and communication, alienation and exclusion, as well as the role of the artist between reality and mis-en-scène. Sadiq lives and works in Stuttgart and Berlin, Germany. She is a graduate in Visual Arts and Intermedia Art from the Staatlichen Akademie der Bildenden Künste Stuttgart. Her work has been featured at various institutions, including the 2017 PyeongChang Biennale in South Korea, the 2015 Kunsthalle Baden Baden in Germany, and the 2015 The Palazzo Strozzi and 2016 Black History Month, both in Florence, Italy. Sadiq is recipient of the Villa Romana Award in Florence (2015) and will be a resident at the Cité Internationale des Artes in Paris (fall 2018/spring 2019).